On the WooCommerce and Easy Digital Downloads platforms, we capture the email once the customer fills out the email field at checkout -- no button click or page refresh required. 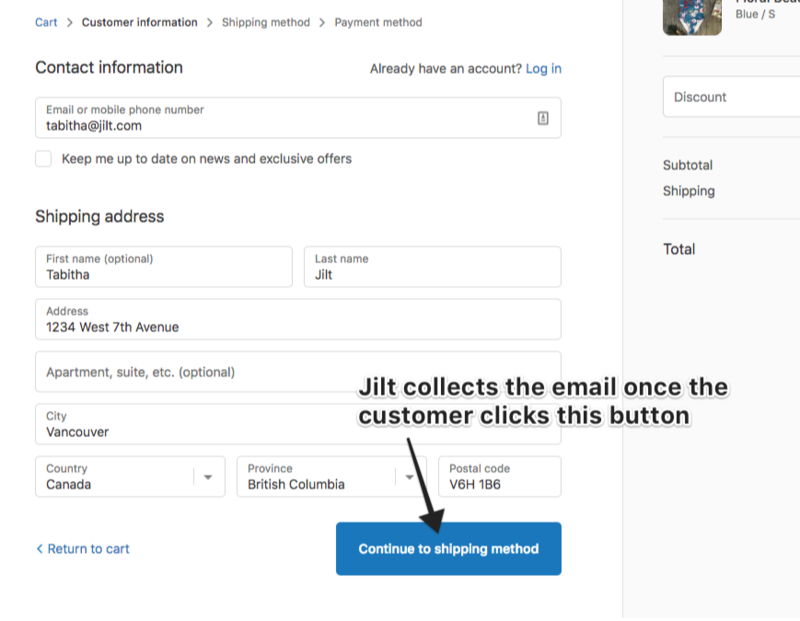 On Shopify stores, Jilt captures the customer email once the customer fills out the email field at checkout, along with the other customer info, and then submits the form by clicking the "Continue to shipping info" button. We can also use the Add-to-cart popover to collect emails as soon as the customer has added the item to their cart, before they've even proceeded to the checkout stage.